Don’t miss your chance to win up to $250,000 in recreation facility upgrades! 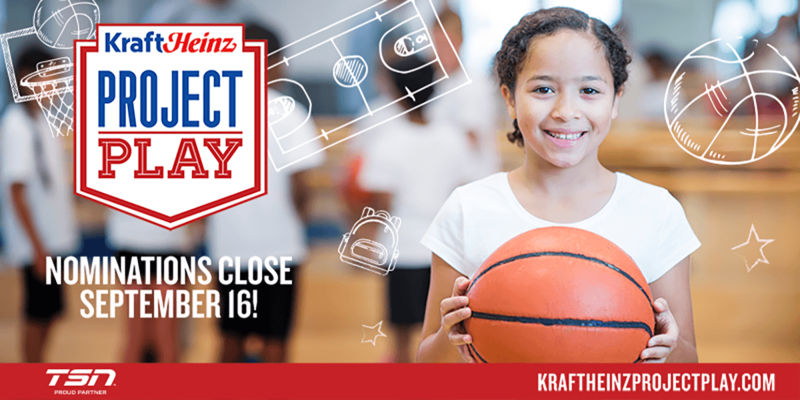 Nominate your local community through the Kraft Heinz Project Play by Sunday, September 16. The Kraft Heinz Project Play promotes helping to build a better future by building better places to play in local communities across Canada. The grand prize winner will receive $250,000 towards their upgrade and the three remaining finalists will each receive $25,000. The 10-year program has awarded over $2.6 million dollars to 77 communities across the country to use toward recreational facility upgrades. Nominate your community through the Kraft Heinz Project Play website.